(Host intro) Vermont Republicans say they’re surprised and thrilled that John McCain has tapped Alaska governor Sarah Palin as his vice presidential running mate. 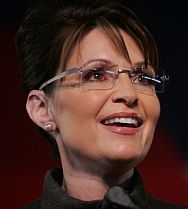 They say Palin provides an important balance to the GOP ticket. (Kinzel) Many Vermont Republicans were surprised by McCain’s selection of Governor Palin because they believed that McCain would choose either governor Tim Pawlenty of Minnesota or former Massachusetts governor Mitt Romney. (Douglas) "She has brought some real leadership to Juneau over the last couple of years, combating the corruption that has been a problem in state government and in the economy of Alaska.… I think Governor Palin reflects a lot of the values of the people of our state and it certainly is a groundbreaking very bold decision by Senator McCain and one that I think will serve the country well." (Kinzel) Lt. Gov. Brian Dubie is a delegate to the GOP convention in St. Paul next week. He says he’s impressed by Palin’s record of fighting corruption. (Dubie ) "I think that’s obviously one of the reasons that Senator McCain was attracted to her. He’s got a theme of independence and also eliminating wasteful spending in government. Governor Palin has been able to demonstrate that … and has really received bi-partisan approval ratings 80 percent approval ratings from the people of Alaska." (Kinzel) Republican chairman Rob Roper says Palin brings some important balance to the GOP ticket. (Roper) "She brings some youth to it at 44. I think she brings certainly as the first woman nominated by the Republican Party she brings that element as well…. It’s going to energize the Party, it’s going to energize the American people and it’s going to show that Republicans really are capable of delivering on fresh outside the box change rather than just talk about it." (Hudson) "We stopped the proceedings to watch everything on television and there were grown men and women just standing in that room applauding with tears in their eyes when she first came out on stage. And her speech was fantastic. It was just so special to be here and be a part of that and to witness the reaction of everyone."